A passionate flamenco dance, a bullfight with an elegant toreador, Gaudí’s intricate work, the Guggenheim museum – Spain successfully combines the traditional with the contemporary, which is also delightfully reflected in its cuisine. 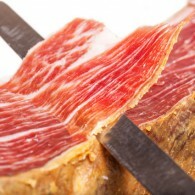 On a culinary tour through Andalusia taste the famous Iberico Ham, Pata Negra, and the season’s first olive oils. Visit the amazing La Boqueria food market before joining a tapas tour in Barcelona. San Sebastian is a food lover’s paradise boasting worldwide the most Michelin stars per capita. Join our chefs here for cooking classes in Spain at a Gastronomic Society where Basque recipes have been shared for centuries. Taste some of Spain’s greatest wines like Rioja or Sherry on our private wine tours. Traditional Spanish cooking has popular roots. It all comes down to family. 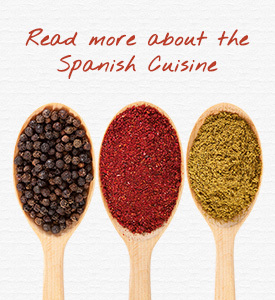 Food in Spain is fresh, abundant and full of flavor, and the Spanish love their food dearly. Most of it is down-to-earth, uncomplicated food, based on the ingredients available locally or the crops grown regionally. Many dishes are prepared today using the same cooking methods and ingredients as they were two or three hundred years ago. Like the Romans, the Arabs, who conquered and lived in Spain for 800 years made fabulous contributions to Spanish cuisine, and their influence is seen in many recipes. Other dishes sprung up from European and American influences and were adapted to the Spanish taste. The two basic ingredients of all Spanish food are olive oil and garlic. 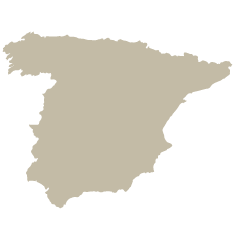 However, because Spain has very distinct geographical regions, settled by different ethnic and cultural groups, and because the weather varies from province to province, the regional cuisines are very different. Many times the only common ingredients are olive oil and garlic! There are well over 200 varieties of olive grown in Spain; the very best of which are grown for table consumption and to make the finest extra virgin olive oil. Olives are often served simply with herbs, oil and vinegar or stuffed with almonds, peppers, garlic or anchovies. They are served in every bar and restaurant across Spain and are often served as a free tapa alongside a beer or glass of wine. Whether your favorite meal is Gazpacho, which is a typical Andalusian dish par excellence or rather, you would love to learn to cook an outstanding combination of meat and fish created by Catalonian gastronomy we have a large choice of culinary tours made for you. The Basque Country has one of the richest and most innovative cuisines in Spain, based on a solid gastronomic tradition, and a wealth of internationally famous restaurants. San Sebastian has much more to offer then only stunning beaches. 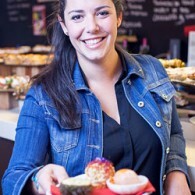 This town is also the paradise of tapas bars and private dining clubs that you could try in an expert company of our chefs.